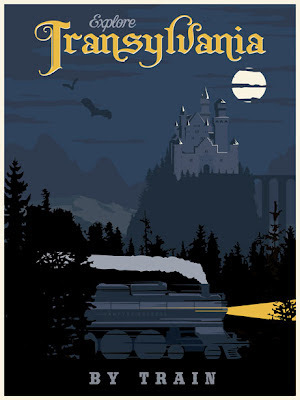 Just in time for Halloween, here is a travel poster to Transylvania - by train. Plan your trip on the Vampyre Express. 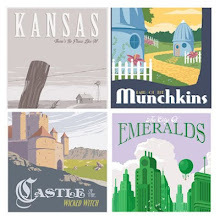 Available at different sizes, as long as the aspect ratio is the same as 18 by 24 inches, which is the size I created it for. You are truly gifted. Love this poster. BTW, my Galactic Travel Poster arrived in the mail - looks stunning. Can't wait for 2013 so I can put it up! Thanks Stephen. Glad you picked up a calendar too!